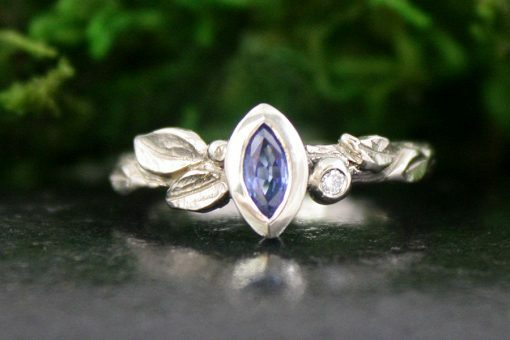 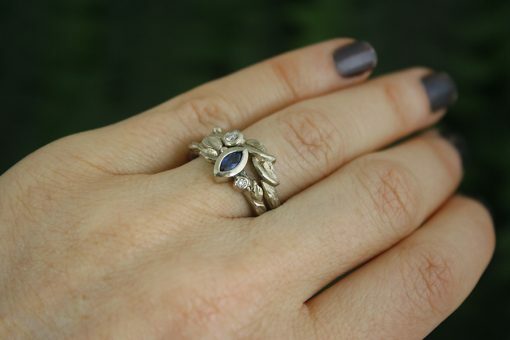 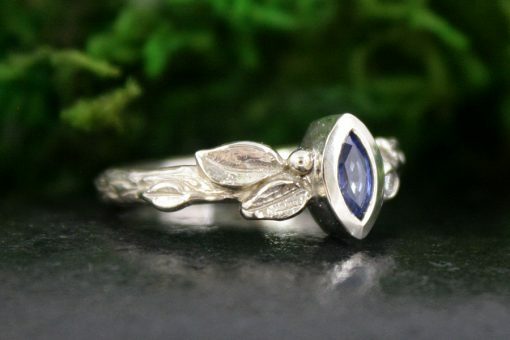 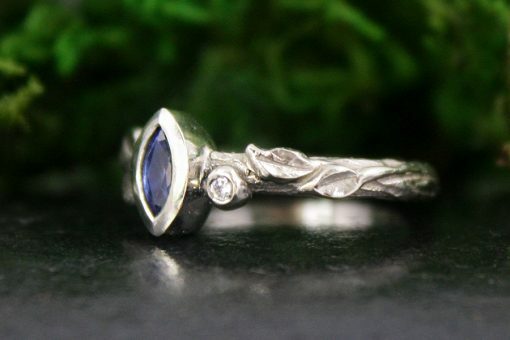 A marquise shaped deep blue sapphire is flanked by cascading leaves and dew drops on a hand carved branch textured band. A little flash of diamond glitter is nestled in a dew drop. 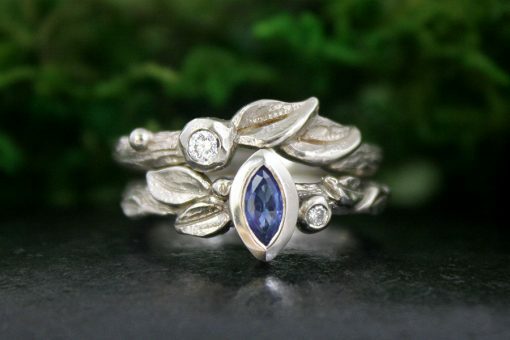 Climbing Ivy is a size 6 and ready to ship. 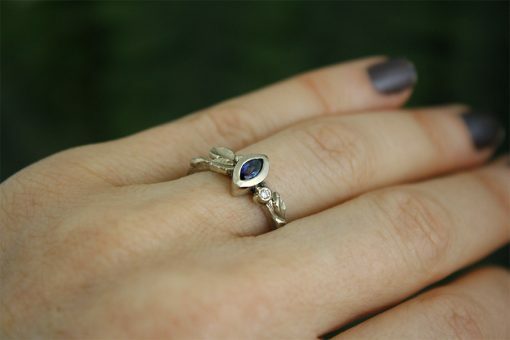 She may be sized up or down by two sizes, ready to ship in 7 days.